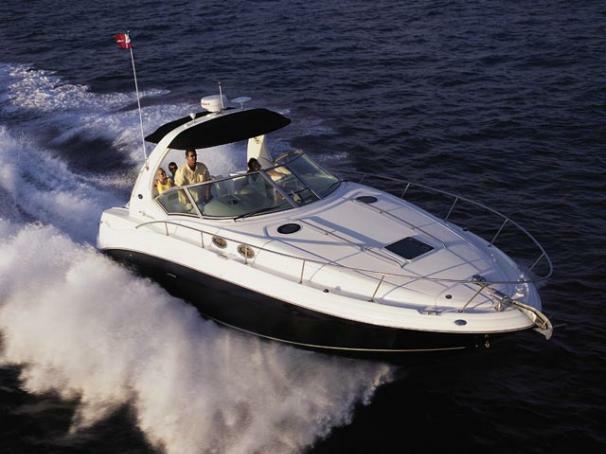 Boat Description There`s nothing quite like the exhilarating profile of this sleek 320 Sundancer. Its dramatic lines and bold colors make everything else look like it`s sitting still. Exciting features include cockpit wet bar with Corian counter, extra-wide bench-style helm seating with two flip-up thigh-rise bolsters, optional underwater swim platform lighting, premium cabin surround sound, and lots more.